As a homeowner, being consistent with your home maintenance routine can be challenging. One of the most neglected parts of the house is the roof, as there are various myths and misconceptions related to it. So, before looking for a roofing contractor, learn some of the roofing myths that have hindered homeowners from making an upgrade. Roof replacement can be costly and time-consuming. That’s why it’s important to routinely check your roof even though there are no visible signs of wear and tear. Here, Home Pro Exteriors, Inc. shares the truth about some of the most common myths related to roofing, so you can improve on your home properly. Myth #1: Power washing is good for your roof. According to roof replacement providers like Home Pro Exteriors Inc, one of the most common misconceptions is that regular power washing is a good way to keep your roof clean and free of algae. However, on the contrary, it’s extremely damaging. Too much water pressure on your siding can result in mildew and mold growth under your shingles. It also strips off protective asphalt and granules, leaving your roof vulnerable to the damage brought by the sun, rain and wind. Myth #2: No wear and tear means it’s all good. Just because there are no visible damages on your roof doesn’t necessarily mean everything is in perfect condition. Have an expert inspect your roof regularly to make sure that any areas of concern can be resolved immediately. Myth #3: Gutters don’t affect the roof. Contrary to popular belief, gutters and roofs work together in protecting your home from water damage. Not cleaning and maintaining the gutter properly can create problems because stored water goes directly into the gutter to ensure that the roof acts as its primary barrier. If the gutter is not properly tended to, it can cause roof leakage and rust. 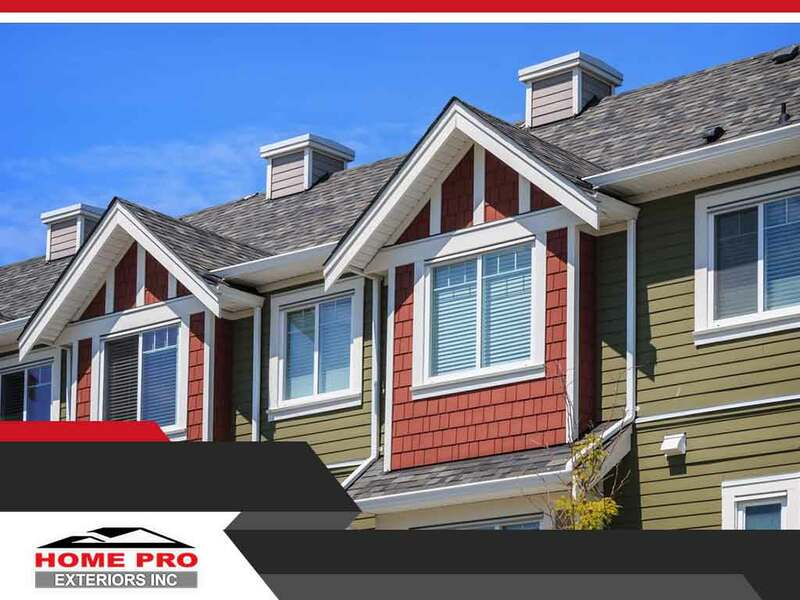 As the leading roofing contractor in Newburgh, NY, we at Home Pro Exteriors, Inc. can help keep your roof clean while maintaining its durability. Call us today at (845) 747-0035. Our experience goes way beyond window replacement to make sure that your home is a safe haven for you and your family.